After an 8-year career in marketing, I decided that I didn’t really want to do that any more. So, I did a part-time MSc in Nutrition, Physical Activity & Public Health at the University of Bristol, qualified as a Personal Trainer and Fitness Instructor, then quit my job and started my own business (a very succinct summary making it sound way more straight forward than it was). I grew up in a pub in Somerset where I worked throughout my teenage years and early twenties meaning I was immersed in the world of food from a young age. I have always associated food with being social. Sitting around a table with family and friends, tucking in to a home cooked dinner or pub lunch, is the best place in the world. I have had a few ups and downs with my relationship with food over the years, as most girls have experienced. Occasionally equating my self-worth to a number on a scale, which of course in my mind was directly related to the food I was eating rather any other external factors. We are surrounded by mixed messages about food and nutrition, with even Public Health England moralising food and stigmatising body image. I was always lucky enough to be in a position of privilege when it comes to food. I always had access to food and food education. I understood that foods are not “good” or “bad”, that my self-worth is not determined by my weight and that eating is always a wonderful thing. I now also have the privilege of living on a beautiful farm in South Oxfordshire with my husband, Andy and our “little ones”, Geoffrey (dog) and Rupert (cat). Living on the farm, I have all the space anyone could need to keep active. I never really loved the gym environment and always found the regimented, rep counting, calorie tracking, muscle building approach to exercise very unnecessary. I feel best when I’m outdoors, being active in anyway that I fancy. I love strength training, but I quickly figured out that you don’t need machines in a gym to be able to do this. You just need to lift heavy things… and there are plenty of heavy things lying around the farm. So I started playing with tyres and logs and rocks and very quickly left behind any notion that exercise = a contrived gym environment. So when I qualified as a PT, I knew that I would never set foot in a gym again (unless it’s for the occasional spin class or boxing session, which I still enjoy every now and then). [Side Note: I don’t want to stigmatise gyms at all. They can be really fantastic and an accessible way for many to exercise. There’s more to them than just treadmills and weight machines. I personally prefer to exercise outside]. I haven’t always been that active and I only really got into exercise in my early 20s and it took a long time for me to start to love it. I would equate fitness and health with going to the gym several times a week. The gym was a necessary evil rather than somewhere I wanted to be. I would feel guilty for skipping sessions, guilty for not spending enough time on the treadmill, guilty for not completing enough reps that some random instructor had written on my induction form months ago. It was never going to be a long term relationship. I probably started to really love exercise when I took on the challenge of triathlons, because that was when I started to explore physical activity outside of the gym. I taught myself how to swim again; I got a bike and explored the countryside at the weekends; I went running around the farm or around the business park I worked on. Being outside made me feel so much better about what I was doing. I wasn’t monitoring how far or how fast I went, I was just enjoying the exertion. I started cycling to work a couple of times a week, swimming in the gym pool or going for runs in my lunch hour. Cycling to and from work was the best part of my day. Dragging myself out of bed on dark, wet and cold winter mornings was torturous (I am not a morning person – I will never, ever enjoy getting out of bed), but I would do it because I knew how good I would feel afterwards. Five minutes in to my commute and my freezing cold hands would have thawed, the cold air and rain would become a refreshing spray and I would arrive at work having cycled through a sun rise. The gym simply became somewhere I would shower before heading in to work (they were right next door). I was always so much happier and more energised on those mornings that I cycled in. I carried on with my gym membership because it was on the doorstep of my work and I liked the diversity it provided. I really enjoy certain group classes like yoga, spinning and boxing, so I would go to one or two of those a week to mix things up. I didn’t keep a schedule of what I would do and when, I just did what I fancied that day. If my morning alarm went off and I didn’t get out of bed to cycle to work, it wasn’t the end of the world. If I skipped my lunch time run or circuits class, I didn’t care. I worked out when I wanted to, because I wanted to and I didn’t want it to ever become a chore again. I used to take part in one or two triathlons per year as a way of giving me some sort of focus. These ranged from sprint to 70.3 miles (half ironman) distance. Whenever I mention triathlons, people assume that I am a ridiculously fit person with a rigid training schedule…this is false. 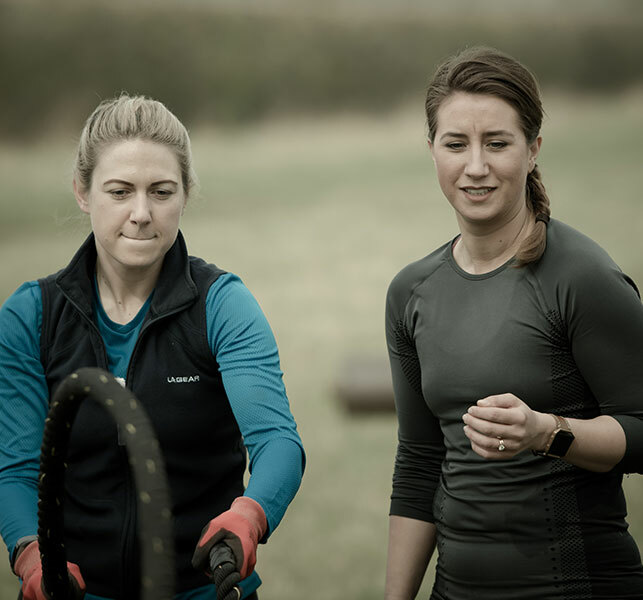 I’ve always been very average at all my sporting activities – and that’s how I like it! I only ever want to do these things for myself, not to be the fastest or the best. Can you imagine the pressure to maintain that sort of success? It’s not my style. I never trained as hard as you expect a triathlete to train because I enjoy life. Some people take up these challenges and spend all their evenings and weekends (away from their friends and family) on a bike, or in a freezing cold lake at 6am before work every day. Now, obviously, I did these things occasionally and they were great fun and invigorating, but I had my limits. Since I started my own business, I haven’t done any organised events. I do miss the variety that the training brings me, but at the moment I do plenty of activity every day. I have the world’s most energetic dog who needs 3 walks a day or he goes mad. I run regular fitness classes and work with clients one to one, so I am always on the go. Instead of doing big workouts several times a week like I used to, I do one or two small ones throughout the day. I play around on the farm inventing new moves, fixing things or making videos. I love going running, cycling and swimming still, so I’ll go when I have time, but I don’t panic when I realise that its been 6 months since I last rode my bike. Being active is a joy for me; preparing and eating food is a joy for me; not something that I ever want to relate with feelings of guilt or inadequacy. I am not one of those trainers that you’ll find on instagram posing in strange positions with rock hard abs and toned arms. I am just me, a woman in her 30s who is finally at peace with her body just as it is. Someone who exercises for fun and because it makes me feel great, not for ‘results’. Someone who eats intuitively, for pleasure and as a way to connect with others. 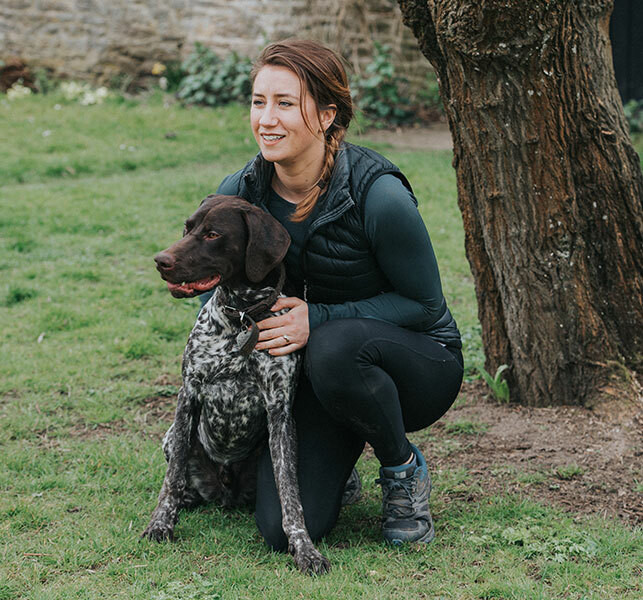 My aim with my business At The Farm is to help people develop healthy attitudes towards nutrition and physical activity; to find happiness with their bodies at any size; to get outside more and just feel good.